The International Energy Agency had a nasty surprise for OPEC and its partners in the oil output cut agreement today. According to the authority, non-OPEC production in 2018 will increase by 1.5 million barrels daily – a rate that will surpass the growth of global demand. And that’s not all. 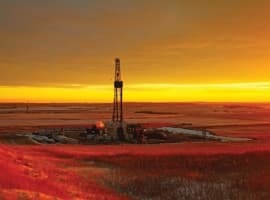 The daily growth rate for U.S. oil production in 2018 is seen to average 780,000 bpd, but the IEA cautions that it may grow even faster than that. Right now, things are not looking much better: OECD crude oil stockpiles continued to rise through April although the rise is likely to have stopped in May. The implied oil market deficit for the second quarter of this year is about 500,000 bpd. That’s a downward revision from last month’s Oil Market Report, which estimated a market deficit of 700,000 bpd for Q2 2017, the authority noted. The rising global stockpiles are not just the result of growing non-OPEC production, the IEA also said. Despite overall good compliance rates, it said, some cartel members have been “less than wholly diligent” with the output reduction deal, namely Iraq, which has cut only 55 percent of the 210,000 bpd it vouched to cut in November, and Venezuela and the UAE, which are also falling short of their reduction targets. At the same time, Libya and Nigeria, the two exempted members of OPEC, are boosting their output. Libya’s output is around 800,000 bpd after the restart of the Sharara field, and Nigeria is producing some 1.68 million bpd after the removal of force majeure from the Forcados terminal. Overall production from OPEC in May went up by 336,100 bpd to 32.1 million bpd. None of this bodes well for the rest of OPEC. One energy analyst has already warned that international oil prices could slide back down to US$30 a barrel unless the cartel and its partners make deeper cuts. Goldman Sachs and JPMorgan already cut their oil price forecasts, in the latter case by as much as US$11 for a barrel of WTI to US$42. We may see more price cuts in the coming months.